To decrease the steering wheel vibration in idle, the test and simulation integrated transfer path analysis and optimization method is proposed. 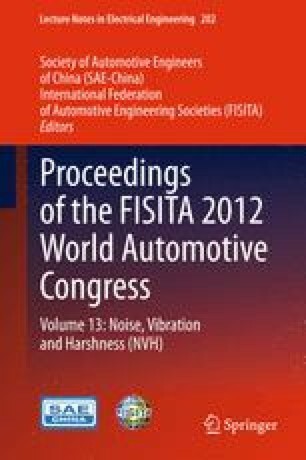 First the contributors to the steering wheel vibration are studied, including the vibrational excitation sources, the transmission channels, and the steering wheel itself. Then a series of improvements are carried out, including lowering the engine idle speed with AC ON, tuning the engine mounts to decrease the engine vibration, improving the body structure and the support brackets of the steering column, etc. Results show that the steering wheel vibration in idle drops over 70 %.